It’s not a test for cancer, it’s a test to help prevent cancer. You’ll get your results by letter, usually in about 2 weeks. 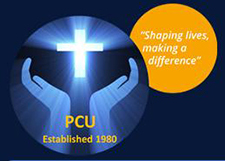 PCU is an ethical financial co-operative, owned and controlled by its membership and has every year paid a higher dividend on members savings than the High Street banks. We listen to our members, and we know what they want – savings and great value loans that are easy to access. Loans are available at an interest rate of no more than 1% per month (12.68% APR) on outstanding balances – a loan of £100 over 12 months will cost no more than £106.50. We believe that there is untapped wealth in the ‘common bond’ community that only needs to be developed and unleashed. PCU taps into that wealth to build a better future for our communities. We live in a world where too many people don’t engage with the Bible. In some parts of the world, the Scriptures are difficult to access or are simply unavailable. In this country, the Bible is readily available but has lost its significance and its value is unrecognised by millions. We’re working hard here at home and in key areas across the world to change this. We take the Bible and find ways to translate and distribute it, create digital formats, advocate for its place in society and help people relate to and make sense of it in their everyday lives. All our efforts are driven by one conviction: we believe that when people engage with the Bible, lives can change – for good. We are an Interdenominational women ministry which started in 2001 when our President and founder, Reverend Marjorie Esomowei, was commissioned and prayed for with a mandate and vision to reach and minister to women of all age brackets, race, nationalities and creed and to empower them with Godly and practical wisdom and skills to enable them to reach their God given potentials in Christ Jesus. Wisdom for Women International is the one stop shop for the 21st century woman. Triumphant Church International (TCI ) started in September 1999 under the leadership of Pastor Clem Esomowei and Pastor Marjorie Esomowei who are currently Senior Pastors of the fast growing body of believers. We strongly believe that God has a purpose for your life and we want to help you to a place of daily triumph, prosperity and Christ centered life. Keep The Faith is Britain’s leading magazine about the black Christian community. Founded seven years ago, Keep The Faith contains news, features, inspirational articles, charity and business stories interviews with leading Christians as well as articles written by leading figures within Britain’s black community. Keep The Faith has a circulation of 50,000 and readership of 200,000. It is distributed for free in leading supermarkets stores, Tesco, Sainsbury’s, Asda, Morrison’s and The Co-Op as well as 4000 churches across the UK. Welcome to Marcia Dixon Public Relations (MD PR) – a niche PR company whose services can help churches, ministries, gospel artists, businesses and charities raise their profile, create interest and generate awareness of their events, projects, products and community initiatives within the BME church community and beyond. We also work alongside businesses, charities, government agencies and other organisations keen to reach the BME community, through its churches. MD PR’s services exist to help YOU communicate who you are and what you do. The black church sector is the most stable, educated, prosperous and aspirational sector of the African and African Caribbean in Britain. Over 50% of Britain’s million strong black community regularly attend church. Britain’s black church community is entrepreneurial, educated, aspirational and prosperous with a desire to positively impact the wider world through running social projects that support the vulnerable and disadvantaged, here in the UK and abroad. Any organisation seeking to raise awareness of an issue, gain support, promote an event or sell goods and services to Britain’s BME community should include a strategy to reach the black church community, which Marcia Dixon Public Relations will help you fulfil.